Jose Mourinho: Two Years, £413m Spent, No Premier League — What Went Wrong? Jose Mourinho arrived at Old Trafford with a task to make Manchester United the envy of the Premier League once again. Since Sir Alex Ferguson stepped down in 2013 as the club’s most successful manager, the Reds have failed to win a Premier League title and slipped away from being recognised as serious contenders among Europe’s elite. David Moyes tried and won nothing, and he was sacked after less than a year. Louis van Gaal came in next (following Ryan Giggs’ brief interim role) and won the FA Cup in 2016, but he then immediately parted company with the club. Mourinho rocked up in the summer of 2016 with a reputation as one of the game’s best managers, one of the few capable of helping restore the club’s former glories. Self-proclaimed as “The Special One,” Mourinho has an extraordinary CV, with eight league titles across four countries from spells with FC Porto, Chelsea, Inter Milan and Real Madrid. United wanted some of that. With Pep Guardiola pitching up across the way at Manchester City, they needed someone who could go head-to-head with one of the game’s most forward-thinking coaches and ensure the red half of Manchester did not fall further behind. In short, Mourinho was expected to lead United back to the Premier League summit and into contention as a top Champions League club. But two years have passed, and United are entering the 2018/19 season with their longest pre-season league title odds since 1991. Mourinho’s magic has waned, and as his demeanour becomes increasingly aggressive in press conferences—he has taken shots at his own bosses, as well as his players—it’s fair to wonder just how long he will remain at the helm. Sam Owen is a 34-year-old United season-ticket holder in the Stretford End and has been watching the team since 1989. “I don’t think Mourinho has been a success particularly,” he told Bleacher Report. “OK, he won two trophies in his first season—but it was an easy run to the Europa League final, and Southampton were very unlucky in the League Cup final. The football was terrible for a large part, and that cup final was a disgrace. In short, nothing. United finished runners-up to Manchester City in the league and lost the FA Cup final to Chelsea. The low point was a Champions League defeat to Sevilla in the round of 16, an awful performance leading to a 2-1 defeat at Old Trafford. Even in those big Premier League games that were seen as positives, the club picked up points more often because of their defensive-minded nature than a particularly impressive game plan. It’s little wonder, then that while most in the football world spent the summer basking in the positive glow of the FIFA World Cup, Mourinho apparently spent it generating the most negative attitude imaginable. • He moaned about his weak squad during a tour in the U.S. even though pretty much every other side involved in the International Champions Cup was in the same position, thanks to players taking holiday after the World Cup. • He told American fans he wouldn’t have wasted his money on coming to watch his squad after a crowd of 109,000 people showed up to see United lose 4-1 to Liverpool in Michigan. • He blamed the club for not making progress with the transfer targets he had given them and had an awkward summer meeting with executive vice-chairman Ed Woodward in a tunnel at Miami’s Hard Rock Stadium. • He took potshots at first-team players, questioning Anthony Martial’s commitment after he stayed with his wife for a prolonged period after she gave birth to their child, and then criticised regular starter Antonio Valencia for looking like he had had “too much holiday” in a clear dig at his physical condition. In the meantime, his main rivals, Guardiola at Man City and Jurgen Klopp at Liverpool, were flirting their way through the summer—talking up their young players, embracing new crowds and putting on smiles for every public appearance. At the beginning of last season, there were signs Mourinho was on to something. United’s style of play was exciting, high-scoring and free flowing. They were unbeaten in eight games, had only conceded twice and the likes of Romelu Lukaku and Paul Pogba gave the side a swagger that could have been mistaken for the walk of future champions. But keeping pace with City and the task of the season soon began to wear on the club. There was less confidence, dynamism and flair as the games wore on. By the time Boxing Day fixtures had been played (the day after Christmas), United were trailing City by 15 points. It was a gap they would never make up. Dabby Peace has been watching United since the early 1990s and has a season ticket in the Sir Alex Ferguson Stand. He believes the entertainment value has regressed under Mourinho. “At least under Louis van Gaal there were good days,” Peace told B/R. “Obviously, there has been the occasional good day under Mourinho, but they are few and far between. Under Van Gaal, even when we lost, at least you could usually say it was entertaining and worth watching. “There have been so many occasions over the last two seasons with Mourinho when, even when we won, I have left Old Trafford, gone to the pub and I have thought to myself that the £4 flat, warm pint of beer in a plastic cup was actually the highlight of my day. That’s how boring it is. United are the first team to host a game in the 2018/19 season, when Leicester City visit on Friday. What the atmosphere will be like remains to be seen, as Mourinho has set a tone that does not spark high expectations or excitement. “Maybe we will get beaten 5-3 again, and I will find myself entertained at Old Trafford for the first time in a long time,” Peace said. Not everyone is fed up with Mourinho, though. There are those, including the manager himself, who believe he is being restricted by the club’s decisions. While he has spent £413 million since arriving at the club, including £73 million this summer on midfielder Fred, defender Diogo Dalot and back-up keeper Lee Grant, he feels he needs more, telling the Guardian last weekend that United face a “difficult” season without more signings. Cutting through the rhetoric, it is clear what rankles Mourinho is his belief that the board has not delivered the new signings who can help him challenge the likes of City and Liverpool at the top of the table. 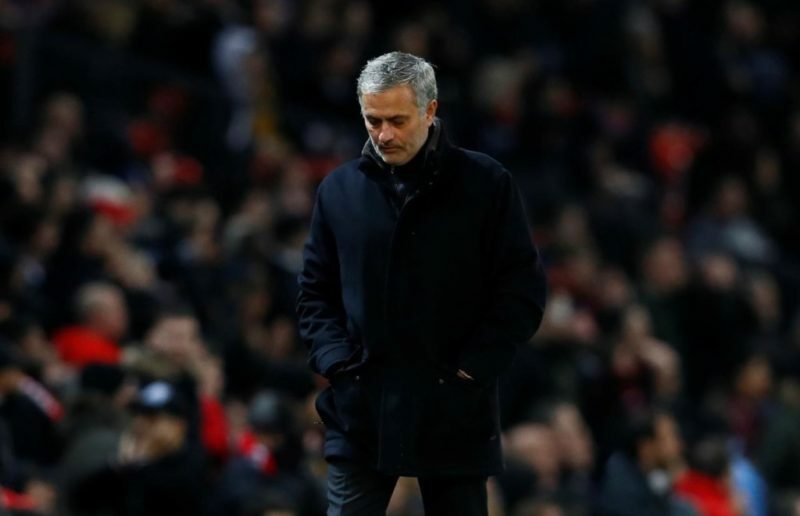 “Mourinho has every right to be frustrated,” Ian McGarry, a journalist who has closely followed the Portuguese’s career, said on The Transfer Window podcast. “But in private, I think he is incandescent because the way they are running the transfer policy at this moment in time is amateurish at best. McGarry believes the club’s board need to take more blame for the underlying problems. United fan Phil Taylor has a season ticket in the stadium’s North Stand singing section and echoed McGarry’s sentiments to B/R: “I don’t think we are expecting much different to last season, but that isn’t all on Jose. Those above him need to take some responsibility too. While Mourinho may not have lost United fans yet, he has them waiting for more. In January, Mourinho signed a new contract to tie him to United until 2020, with the option of a further year. But history shows he has yet to make it through a third season at any of his clubs, and it is difficult to see much reason why this time will be any different. 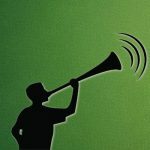 Duncan Castles is the journalist best-connected with Mourinho’s camp and regularly gives his insight on The Transfer Window podcast. “He went there to win the title, and he wants to do it,” Castles said on the podcast. “But you have to be realistic and see Man City finished 19 points ahead last season. The gap is so large, and the weaknesses are obvious in United’s squad—they have been for a long time. “But if you want to win the title and you are not confident about the manager’s transfers, then it probably would have been better to change the manager than to get themselves in a situation where they are not prepared to fully back the manager in the window when he says this squad isn’t strong enough. The battles lines seem clear: The United board are not getting the best out of Mourinho. Mourinho is not getting the best out of his players. The players are not entertaining the supporters. And the supporters are trying to work out who is most to blame. The plan to restore United to greatness seems even more complicated than we ever imagined.